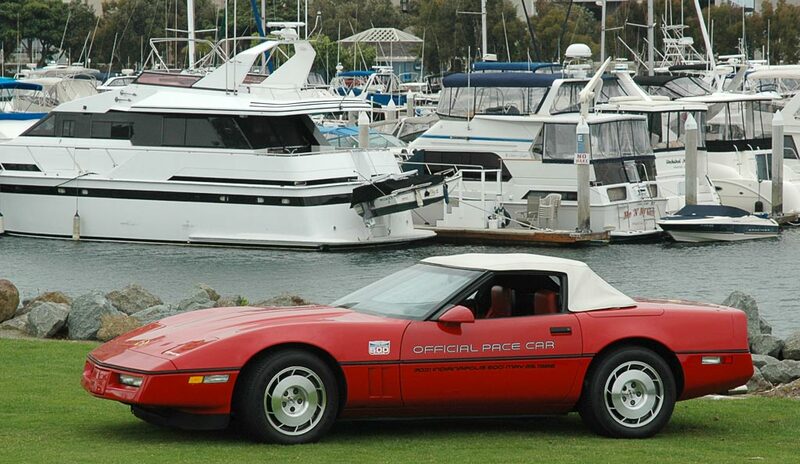 To learn more about the 1986 Corvette, click here. Note: Since the convertible was a mid year (interim) addition, it's specs are not included in this listing. Front: 16" x 8.5"; Rear: 16" x 9.5"
Curb Weight: The calculated weight of a vehicle with standard equipment, only as designed with the additional load of oils, lube, coolant and fuel filled to capacity. Shipping Weight: Same as base curb weight except 3 gallons of gasoline. Includes Power Rear Antenna plus Two Front and Rear Speakers +0.8 lb. Includes Tri-Band Power Antenna +4.0 lb. Radio Delete (RPO UL5) -11.0 lb. Bore / Stroke: 4.00" / 3.48"
Spark Plug Tightening Torque 18 - 22 lb. - ft.